Cook County shoppers who buy sweetened beverages will be charged a penny-per-ounce tax beginning Wednesday, after a judge dismissed a lawsuit that challenged the county tax as unconstitutional. The state constitution requires taxation to be uniform within a designated taxable class. 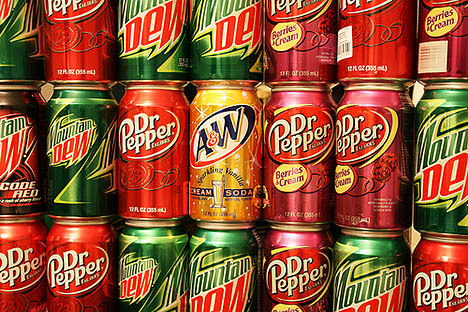 Cook County Circuit Judge Daniel Kubasiak also dissolved the temporary restraining order that had halted implementation of the tax, which originally had been set to take effect July 1 and applies to both sugar- and artificially sweetened drinks. Liberals sell soda taxes with sugar hysteria. The gullible dutifully believe that sugar is a drug and even a poison. Note that the tax applies even to drinks that contain no sugar. The taxes will remain, long after sugar hysteria has gone the way of fretting about global cooling and the hole in the ozone. At least you won’t have to pay tax on your soda if you buy it with other people’s money. Purchases made with food stamps are exempt from state and local taxes per federal law. The Daily Line shared a copy of a document AFSCME [American Federation of State, County and Municipal Employees] circulated that suggests seven tax increases as a means to prevent county layoffs from taking place. County Board President Toni Preckwinkle has claimed the delay in the implementation of the new soda tax will cost 1,100 Cook County government jobs, and she sent out about 300 layoff notices July 14. Among the suggested increases are a quarter percent sales tax increase, doubling the amusement tax to 6 percent and instituting an $11 per month per employee head tax. They got their soda tax, thanks to the Judge Kubasiak. But when it comes to taxes in places run by Democrats, too much will never be enough to keep up with spending, so these other tax proposals will not be forgotten. These recommendations would also make it more costly to visit the city and county by tacking on to the hotel tax, amusement tax and parking tax. Chicago is already home to one of the higher hotel taxes at 17.4 percent, which would increase by an additional 1 percent. And if you park your car near your hotel? That will cost you an additional 9 percent or an additional 13.5 percent for weekly parking. Already people don’t want to live in Chicago. It is the only major U.S. city that despite all the Third World immigration still managed to lose population from 2015 to 2016. If they keep jacking up the taxes, people won’t even be able to afford to visit. They’ll tax it until you can’t afford it, then tax something else. On a tip from Kim F. Cross-posted at Moonbattery.